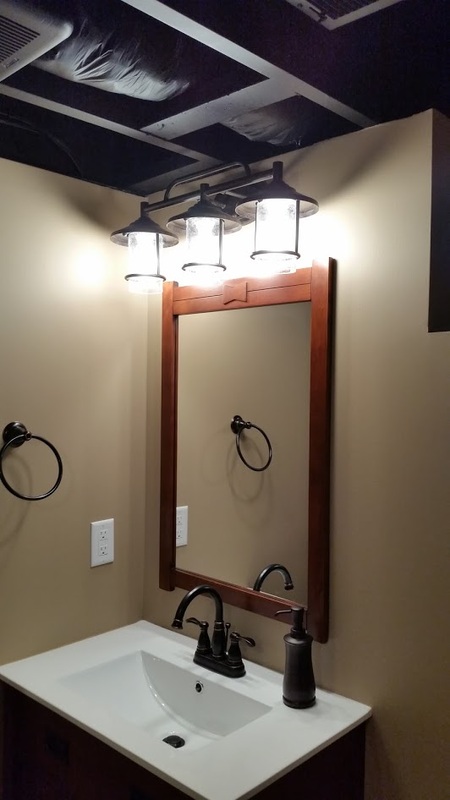 RUSTIC INDUSTRIAL BATHROOM – Allrounder Remodeling Inc.
Our client had a makeshift bathroom in her basement. Unfortunately, it was poorly installed and leaked severely. In addition, the space was dark and cold and not very hospitable. After going over some options and scenarios with our client, it was decided to start from scratch. 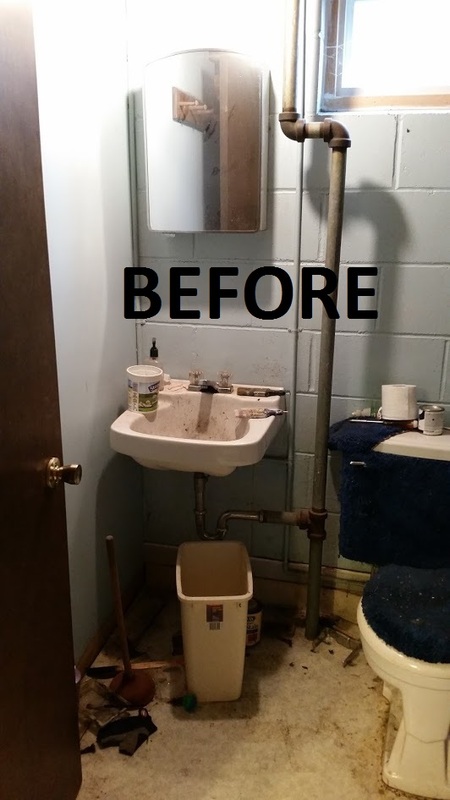 After full demo, our team installed the underground plumbing needed to drain the new bathroom. In addition, the space was framed and insulated. Wiring was brought in to code. 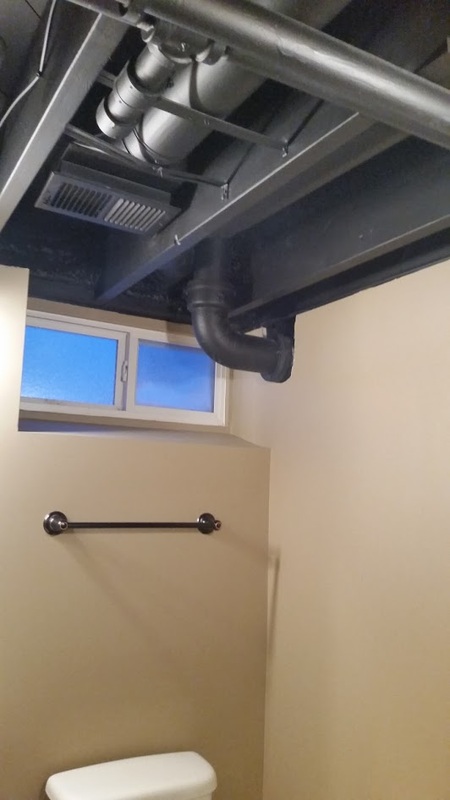 An exhaust fan was installed to keep the space well ventilated. The biggest challenge that our team faced on this project was an underground spring that was discovered. This spring caused our plumbing trenches to continuously fill with water. Creative use of additional trenches and pumps allowed us to keep working. 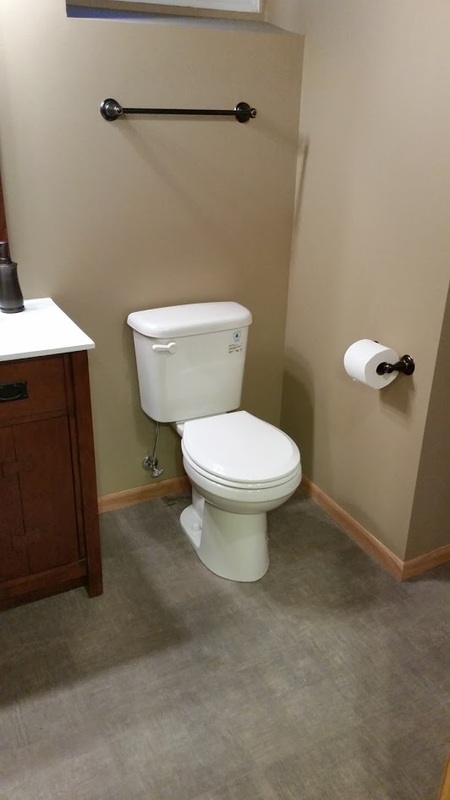 The finishes in this basement bathroom are simple and functional without being over the top. 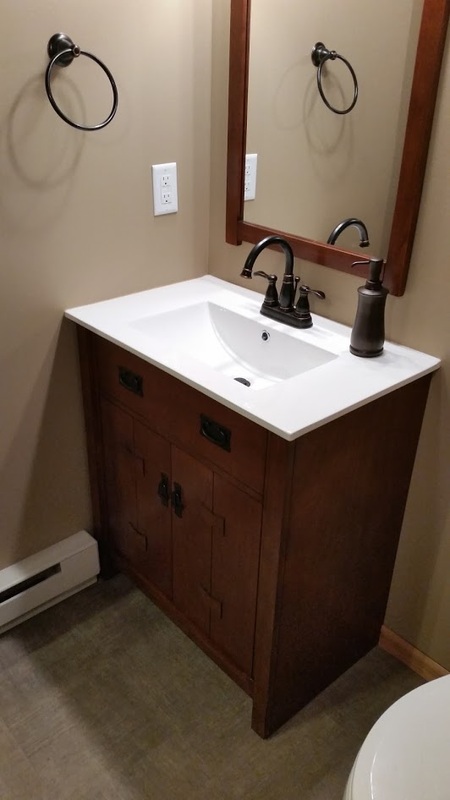 A mission style vanity looks sharp. Rustic lighting provides plenty of light. 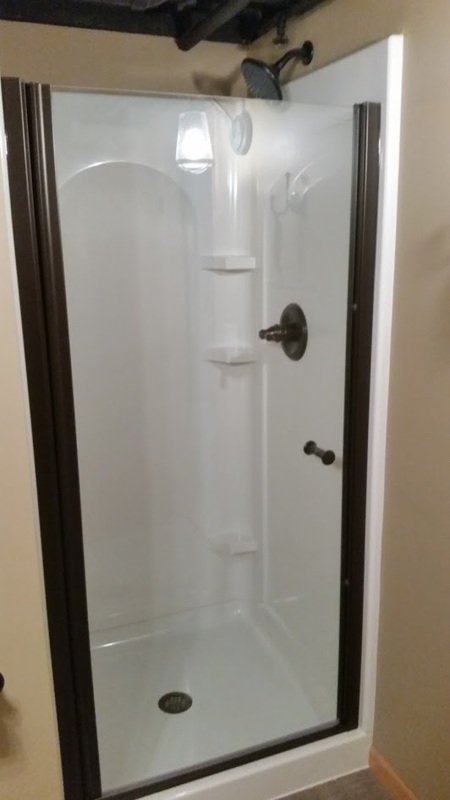 A simple shower insert with glass door allows the light to enter the shower area. Luxury vinyl sheet flooring has a linen-look to it. An electric baseboard heater provides a little extra warmth on winter days. 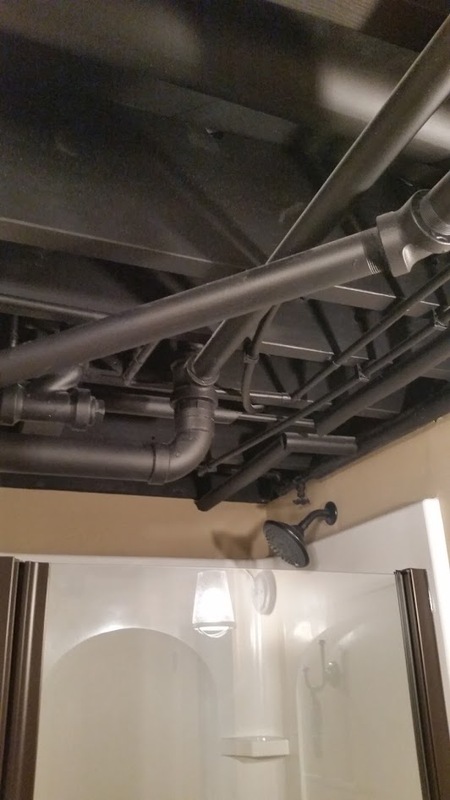 This older home has a very low ceiling height and a lot of pipes and obstructions in the ceiling. As a result, our client elected to have us leave the ceiling exposed and simply paint it black to finish off the rustic industrial look.